DETROIT -- Joel Piaskowski, the designer responsible for the clean, aerodynamic look of the new Hyundai Genesis sedan and coupe, is joining Mercedes-Benz, according to Car Design News. The magazine says Piaskowski, who quit Hyundai last month, will become head of design at Mercedes-Benz Advanced Design in Irvine, Calif., starting Monday, Jan 12. 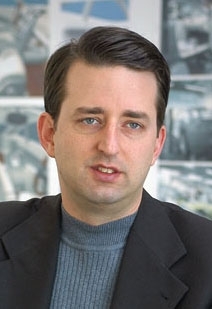 Piaskowski, 40, spent 13 years at General Motors working on Pontiac, Chevrolet, Buick and Opel vehicles before joining Hyundai in 2003. He designed many of Hyundais recent concept cars. Mercedes-Benz did not immediately confirm Piaskowskis hiring.